I am impressed with iAd revenue given by Apple. It really surprises me. So I end up putting iAds for most of my free apps. Though, I'd like the app to be downloaded by OS3.2 users as well (wider user base). So, upon searching, I found the tutorial from Ray Wenderlich. It totally works! If your app is ran on 3.2, it will not cause a crash using this way. iAd is simply not instantiated in OS3.2. 2. All you need to do is then copy 2 folders - Admob and TouchJSON into your app folder in Finder. Then drag these 2 folders in your XCode Project group. Then you need to add 5 Frameworks to your project. They are MediaPlayer, CoreGraphics, AudioToolBox, MessageUI, and QuartzCore. 3. For iAd, you need to add and weaklink the iAd.framework. Click on Targets->"App name" and get the info of it. Then go to General tab and underneath there is a list of frameworks. On the right side, there is a column called "Type". Click on the value "Required" and change to "Weak". Though, in OS3.2, iAd NEVER gets instantiate. So the iAd didFailToReceiveAd delegate will never get called, and that means Admob ad will never be instantiated as well! So we need to trigger the creating of Admob ad calling manually. And that's where admobTimer comes in the picture. @"your 40digit device ID here"
4. 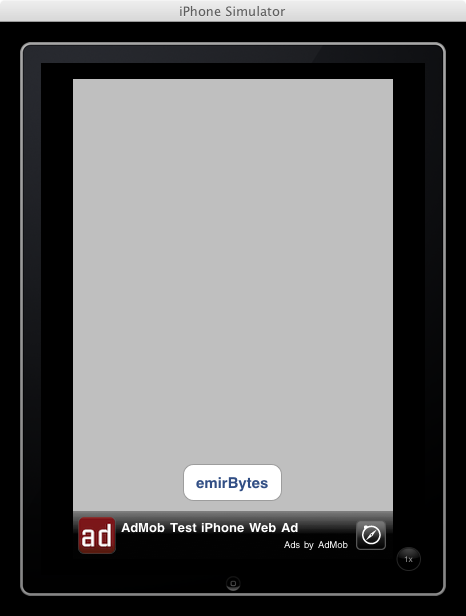 To get test ads in iAd, you don't need to do anything in Simulator. Even if you haven't added a new version with iAd enabled in iTunesConnect, you can still receive test ads in the iAds in simulator or device. Thank you for the code and explanation. One problem. 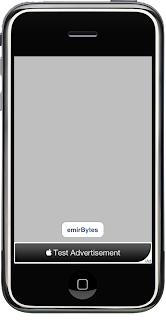 Admob ad displays in the right position which is at the bottom of my iPhone, but iAd goes what I think is 20 pixel down. So I think it might have to do with the fact that I have status bar. 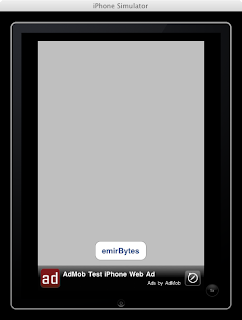 Is there any chance you could help me adapt this to display AdMob ads if there are no iAds. I'm not concerned about the 3.2 sdk because im targeting a later version. 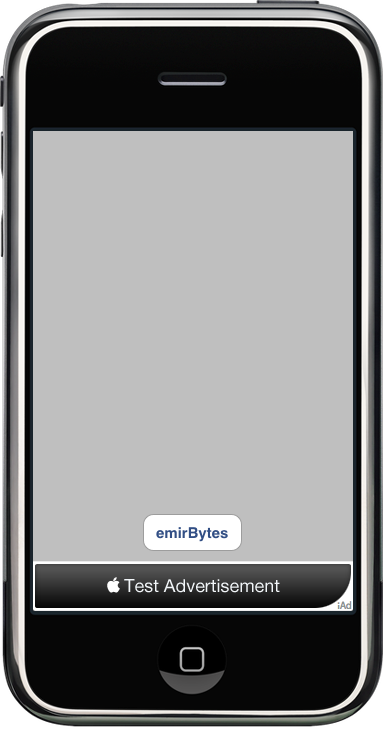 [self createAdBannerView]; // create and retain iAd once.